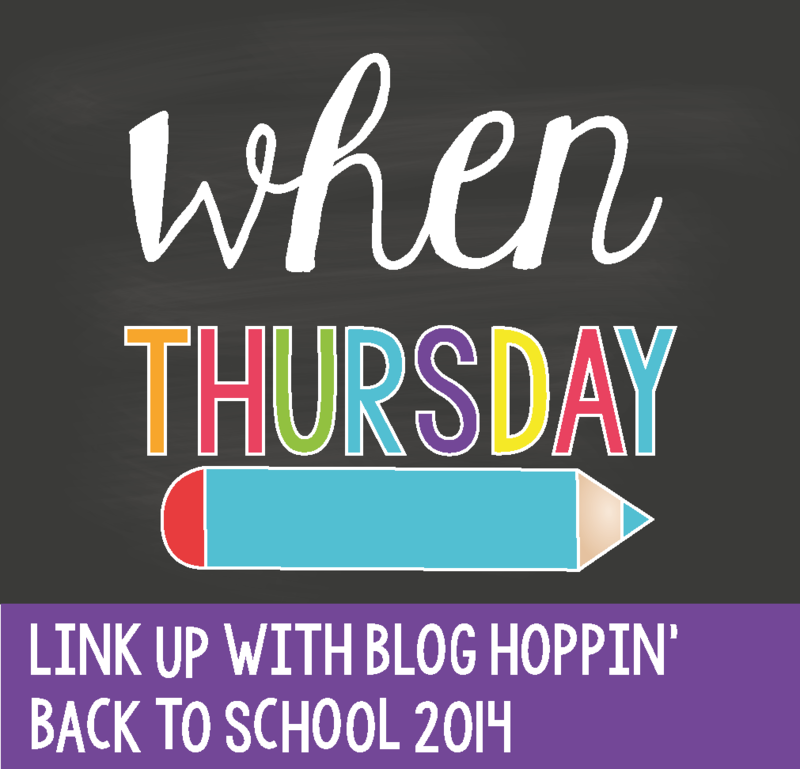 Today is day four of the Back to School 2014 blog hop. We're talking today about when - I think the intention is to talk about your year plan, but as I'm not back in school yet, don't totally know my grade and don't know when things like gym and library will be, I'm going to talk to you about when I plan and prepare. Sorry about the lack of images in this post, I just didn't think I had anything relevant. I'm still in vacation mode, so I'm going to explain what a typical week day looks like instead. This is when I wake up. My internal clock/my dogs don't let me sleep any later. Usually I wake up, and catch up on some social media on my phone in bed. I like to shower right away. It wakes me up. I eat breakfast next. Usually egg whites, oatmeal and a cup of tea. While I eat, I tend to read my Bloglovin' feed. Last year, I taught 30 minutes out of town. This was driving time. I'm excited to have this time available this year! I am hoping that this will become TpT/blogging time. I will probably be going into school earlier than usual for the first bit anyhow. This is the time I spend in my room getting ready for the day. Photocopying, pulling stations materials, putting out morning work... Sometimes I am feeling extra-ready, so I sit in the staff room and have tea and chat with colleagues. Those are the best days. Working away with my kiddies! Usually, I spend this much time in my classroom after school planning for the next day and tidying up the day we just had. How does this compare to your day? Do you have specific days for TpT, blogging, the gym, etc.... Do you save marking until the weekends? Let me know in the comments! Blast off Back to School Sale!